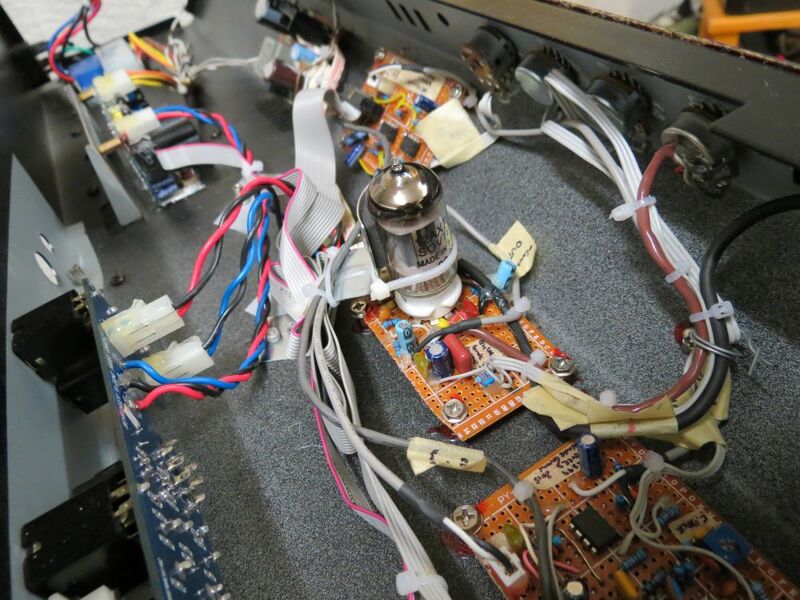 12AX7 Vacuum Tube Preamp Mod « Adafruit Industries – Makers, hackers, artists, designers and engineers! For this project I’ve used 12AX7 vacuum tube. This tube is one of the most used for the guitar preamplification. So there are many resources available on web. The first problem i faced it’s the power stage. Tubes needs high voltage in order to work properly. The solution I’ve found was to connect a 230V/9V power transformer with secondary and primary reversed. That way, connecting it to the 10.5V AC output of the main Behringer transformer i can get almost 160V DC.